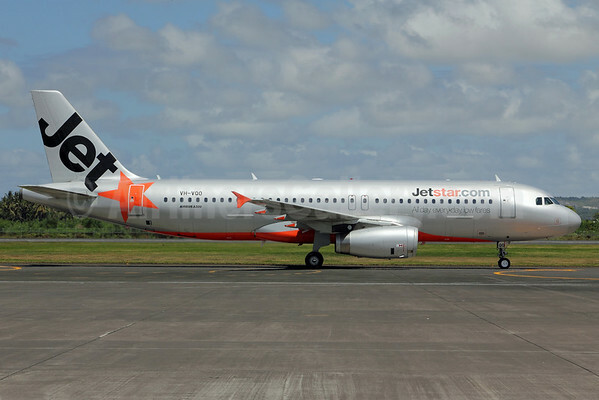 Jetstar Airways (Australia) (Melbourne) is planning to add three new routes on March 29 per Airline Route: Cairns – Denpasar, Gold Coast – Perth and Melbourne – Wellington. Copyright Photo: Michael B. Ing/AirlinersGallery.com. Airbus A320-232 VH-VQO (msn 2587) taxies at Denpasar. This entry was posted in Jetstar Airways (Australia) and tagged 2587, A320, A320-200, Airbus, Airbus A320, Airbus A320-200, AS320-232, Denpasar, DPS, Jetstar Airways, Jetstar Airways (Australia), VH-VQO on January 5, 2015 by Bruce Drum.